Did you see that fantastic 7th game of the NBA’s Western Conference Final on May 28th where the Golden State warriors came from behind to beat the Houston Rockets 101-92? If you had the proper gear, you could have been even more involved by watching it in Virtual Reality 3D. Intel Sports streamed the game via their True VR app in 180-degree video to its subscribers. The VR cameras that captured the images were called the PanaCast Live system built by Altia Systems. As Aurangzeb Khan, CEO of Altia Systems, explained to me in a one-on-one interview, “This camera array employs six 13 megapixel cameras live streaming at 60 frames per second at 4K resolution and ‘stitching’ the images, or combining them at the edges to form a smooth panorama, in real time,” he said. 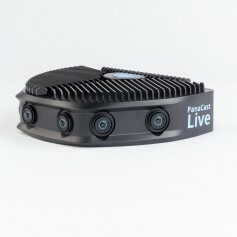 The PanaCast Live camera system debuted at the Intel Capital Global Summit, May 8th. The solution enables live VR broadcasting, and because the camera has such a small form factor it can be positioned right at courtside. 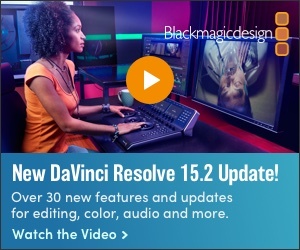 The PanaCast Live’s internal processor crunches 2.3 billion pixels per second to create the seamless 180-degree image that gets sent to the outside production truck over a single 12G SDI coax cable. For the NBA Western Conference Finals, you could have selected either a live line cut, or any of six individual 3D cameras feeds. However, as with Intel Sports VR presentations, in addition to the Intel True VR app you would have needed a Samsung Gear VR headset and a compatible Samsung Phone or a Daydream headset with a compatible Daydream phone. And, of course, an Internet service provider that carries Intel Sports programming. However, for those who have these or other brands of VR head mounted gear, you can see how smooth the output of the PanaCast Live 180-degree VR 3D camera looks by viewing this YouTube test footage shot by that camera. Note the lack of “jumping” as the image passes from sensor to sensor. Virtual Reality took to sea to show sailing fans the 2018 Congressional Cup regatta held off Long Beach Veterans Memorial Pier from April 18th through the 22nd. The VR production resulted from a partnership between the Long Beach Yacht Club’s (LBYC) media team and several technology firms, including TVU Networks, Samsung, Telstra and BOXX.TV. You can barely see the ships from the shore. But then, neither can the IP receiver. Click to enlarge. This time the challenge was not how to maneuver 3D VR camera rigs around a small basketball court, it was figuring out a way to get the signal from shipside back to shore. The solution came from broadcast integration and project manager Suitelife Systems and wireless innovation house Ocon Solutions Company (OSC). The solution involved two Samsung 360 Round VR cameras, one mounted on a sports fishing boat and the other on the anchored cargo ship, LONGNES. TVU routers were used as sea-bound hot spots to send 360-degree live VR footage from the middle of the racing action back to the pier where the equirectilinear elements of the VR image were stitched together and distributed over the Samsung VR Video. The TVU Router provides high bandwidth Internet connectivity over 200Mbps. 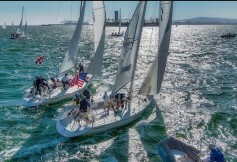 This was the 54th consecutive year for the Congressional Cup which is known to the yachting set as the “gateway to the America’s Cup” so it was important to get the five days of VR video streamed back to the New York Yacht Club and distributed in whatever format was feasible worldwide over social media. VR camera rigs on a tossing ship. Pass the Dramamine! Click to enlarge. “VR footage requires extensive bandwidth to view the images properly,” said Jim Ocon, President, OSC. “With the lack of infrastructure on site, multiple sources of 360-degree VR coverage, and movement, this set up stretched the limits of high-bandwidth connectivity in a live, real-world environment. The end result was simply spectacular. “Introducing Telemundo’s first-ever Augmented Reality offering reinforces our commitment to continue enhancing the World Cup experience for our audience,” proclaimed Joaquin Duro, vice president, digital, Telemundo Deportes. Fans will be able to activate the AR experience via Facebook’s Camera Effects Platform which will let kids of all ages engage with the AR content by creating sharable, filter-type content, such as their very own Panini sticker. But there’s more. The AR craze will extend to 10 second videos featuring Telemundo Deportes talent, historic moments and most memorable goals in World Cup history. Created in collaboration with VR Americas, the Telemundo Deportes’ Panini AR experience, was a finalist for “Best Campaign” at the 9th Annual Augmented World Expo 2018 Auggie Awards presented May 31 in Santa Clara, CA. Panini has also released a FIFA World Cup digital trading app that includes exclusive digital content of all of this year’s players. Soccer, excuse me, football fans around the globe can collect various echelons of digital stickers, trade with fans all over the world, compete with others to win cards for their collection and participate in contests. The app is available in the iOS and Google Play stores.